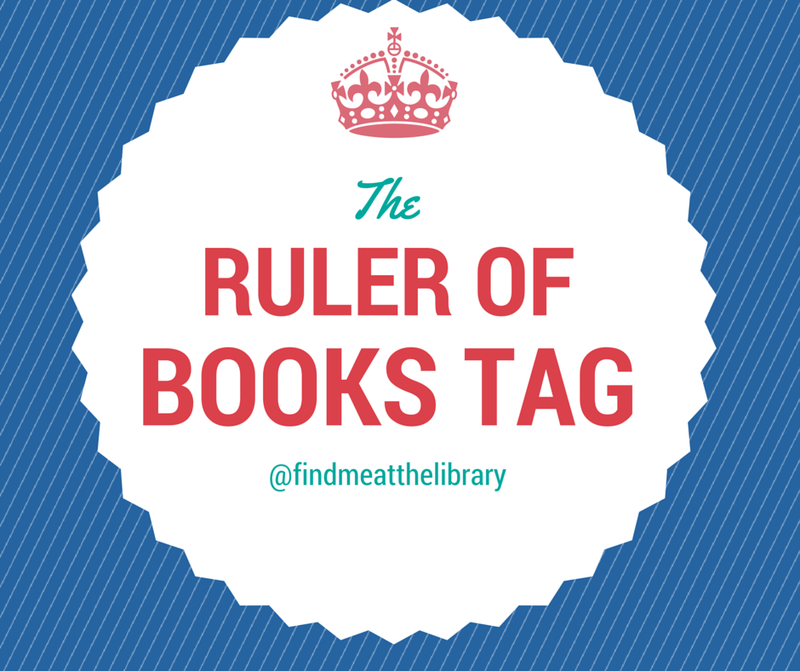 This awesome tag was created by booktuebr Ariel Bisset, and I came across it at Lola’s blog Hit or Miss Books. It’s been awhile since i’ve done a tag, and this one looked pretty fun. What book would you make everyone read? Ok so I have two answers for this, one a series and the other a standalone. Everyone should read Harry Potter, for obvious reasons. 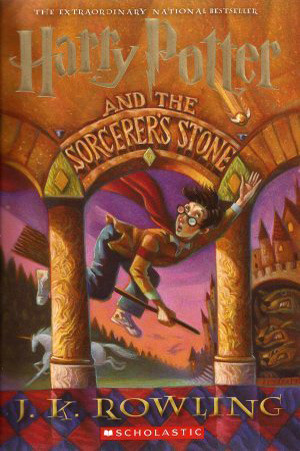 It is a very popular book, but there are still some people who have not experienced the magic of it, and I think everyone should at least try it. For my standalone, I chose Speak by Laurie Halse Anderson, because of the themes and messages, Also, it is beautifully written and really gets you thinking. What would you abolish in book construction? I could honestly could write an entire post about this. For now, I’ll just choose one thing–covers with actual people on them. You know the ones I’m referring to, where a person is randomly and awkwardly photshopped onto a cover. Don’t get me wrong, sometimes real people on covers can look good (i.e. Since You’ve Been Gone, To All The Boys I’ve Loved Before) but most of the time, it is cringe worthy. What author would you commission to write you any book? This really depends on what kind of book. For the world-building aspect, definitely Marissa Meyer. Cute contemporary? Rainbow Rowell. Contemporary that tears your heart into pieces? John Green. What book would you demote to the library basement to make room for new books? The first two books of the Matched Trilogy, for sure. In fact, if there was no room in the basement, I would not be against just plain throwing them in the trash. What cover artist would you commission to make a mural? 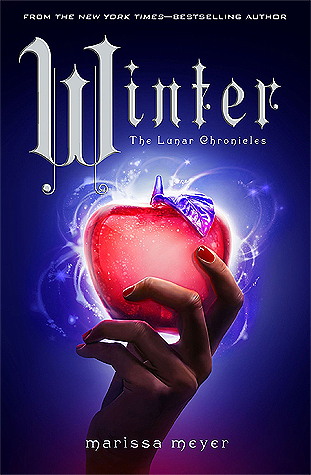 I don’t know illustrators names, but whoever made Harry Potter and The Lunar Chronicles Covers. I mean look at how beautiful they are? What character’s face would you put on a coin? What book would you award the “Ruler of Books” 2016 Prize to? So far my favorite 2016 release that I have read has been The Unexpected Everything by Morgan Matson. However. in a few months I’m pretty sure Empire of Storms will overtake the title! I tag anyone who wants to do this tag! It’s been awhile since I’ve done a tag, so I’m not sure what blogs accept nominations or tags anymore. If you want to be tagged in any future posts, let me know and I’ll add you to my list! 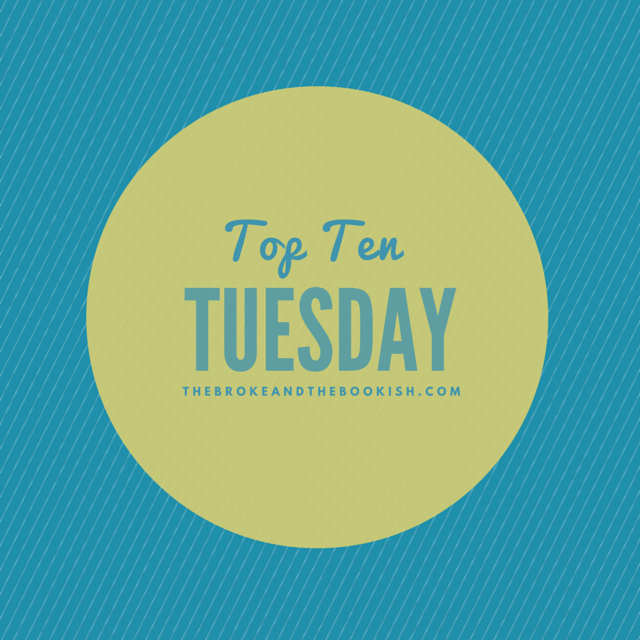 Top Ten Tuesday is a weekly feature hosted over at The Broke and the Bookish. Each week, there is a certain theme assigned where you have to try to list ten for that category. For more information, visit their page here. This week’s topic really caught my eye, since it was so open-ended. There are so many things I love it was hard to choose! I ended up selecting “book-to-movie adaptations” because I have so much to say about them. This may sound strange, but I actually love the anticipation that comes while waiting for a new book or movie to release. I love counting down the days or seeing how close I am to reading or watching something I am excited for! One of the best things for me when it comes to movie adaptations is when the author writes the screenplay. When you are sitting in the theater and you hear the exact same lines you read, it is just a really neat experience. 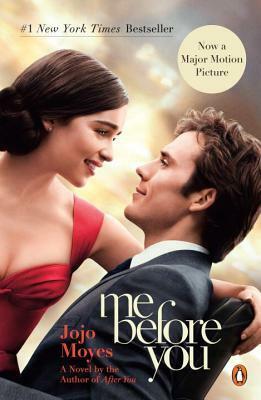 While watching a book-to-movie adaptation, it is always fun to spot the similarities. Movies could go in any direction, so it is cool to see you favorite scene or character included. 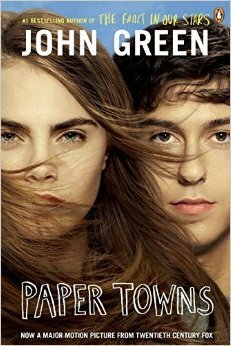 Differences–the thing that sparks the most arguments about book to movie adaptations. Sometimes the movie will take a different path than the book, and sometimes it can lead to something great or something awful. I always enjoy seeing how the movie has a unique story to itself, because it is impossible to dully translate a book to a movie. Seeing one of your beloved books getting the attention it deserves is a great feeling. When a book is announced to become a movie, while there are some that will just watch the movie, many will also read the book. In the end they all are enjoying the same story you love. Sometimes, the movie producers throw in small Easter eggs for us readers. To someone hasn’t read the book, they wouldn’t notice these details. However, when we see them, we get completely giddy. I personally love movies that are really accurate and adapt the book as best as possible. 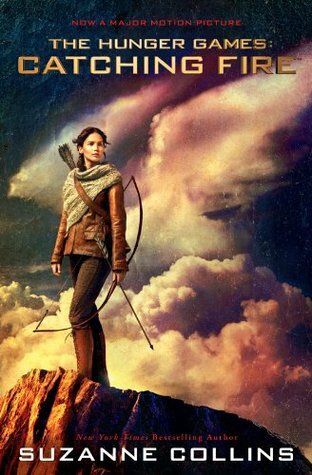 These adaptations can be a total hit or complete flop (looking at you Percy Jackson, Beautiful Creatures, Divergent, etc.) Here are some of my absolute favorite recent book to movie adaptations.